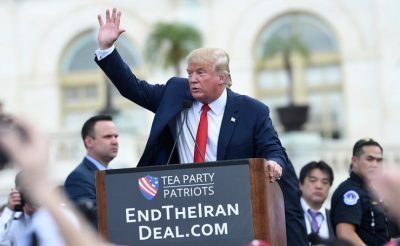 The United States had never intended to allow Iran to rise as a counterbalancing regional power in the Middle East or Central Asia nor escape from under the constant threat of US military intervention or the crippling sanctions it has targeted the nation with for decades. Prominent among these is the Brookings Institution whose corporate-financier sponsors include arms manufacturers Boeing, Lockheed Martin, and Raytheon, energy giants Exxon Mobil, BP, Aramco, and Chevron, and financiers including Bank of America, Citi, and numerous advisers and trustees provided by Goldman Sachs. The “game” – as Brookings policymakers called their attempts to covertly provoke war with Iran in their 2009 paper – they had hoped to hide from public view, is now exposed – dissected and displayed by independent analysts and national media organizations with unprecedented reach into global audiences once solely dominated by Western propaganda. Yet despite the lack of public support, the momentum toward war with Iran is of titanic dimensions. It is a war that has been engineered for years, spanning multiple US presidencies. It involves peripheral conflicts including the wars in Afghanistan, Yemen, Iraq, and Syria used to stage US troops and equipment ahead of a future war with Iran itself. Israel’s growing role in provoking both Iran and Syria is a signal of US desperation. Brookings and other analysts both for and against US aggression toward Iran note that Israel itself is incapable of toppling the governments residing in either Damascus or Tehran. Israel’s role instead is to provoke a conflict and retaliation – or even stage what appears to be Syrian or Iranian retaliation – to then draw in the United States who may be capable of toppling either or both governments. Preventing the US from sparking a wider conflict in the Middle East or through more patient and persistent means achieve its goals by partitioning territory and perpetuating bloodshed – will be key to undermining its efforts in Eastern Europe and Asia Pacific, as well as transitioning away from a Washington-dominated unipolar world order, toward a greater balance of global multipolar power.